By Kaivan Adjedani. Electric Island summer series returned for it’s third installment on the Civic Holiday, Monday August 3rd. We’re not sure if the organizers have a side deal cut out with Mother Nature, as only one day after a storm took out the final day of VELD, the entire island was filled with laughter, smiles, and somehow sunshine. While we usually do highlights and lowlights for Electric Island, the lineup on Civic Holiday was so diverse that there would be no winner after the last word is read. Instead, enjoy a recap of the acts provided below! When you’ve been veterans of the industry that have worked with just about every big name there is, you’re bound to pick up a trick or two. This is probably how The Junkies, playing the first headlining slot at Electric Island, managed to make a dark tech house set sound perfectly appropriate at 3PM on a hot summer day. The duo wasted no time in getting everyone in attendance moving, while showcasing their versatility and ability to adapt to different stages. Want an example? They played a techno remix of “Buzzcut Season” by pop phenomenon Lorde. Playing the slot after The Junkies and before Shiba San can be quite confusing for a DJ trying to figure out what the aesthetic of his set should be. For DJ Three, he didn’t seem to feel any pressure as he played music that put the audience in the moment, focusing on solely his set and not the following or prior. His performance seemed to have made the stage vanish entirely, as the audience was not watching a DJ perform, but rather having a time dancing to some amazing tracks. Through some very smooth transitions and exquisite track selection, DJ Three had the crowd clueless of which song was next and which was before, instead everyone was enjoying one hell of a mix. Relative to the status quo bookings and musical style of artists at Electric Island, Shiba San would be considered a commercial act; we’ll acknowledge this from the get go. The announcement of this booking had sold enough tickets however, that there wasn’t a crowd of techno fanatics scratching their heads wondering how to dance to the incredibly bouncy tunes being played. On the contrary, hundreds of new faces were in attendance all losing their minds to every build up and beat drop the Dirtybird superstar decided to play. Was his set a mix of future and tech house similar to what you would hear in any regular top 40 club? Yes. Was the dancing area still the craziest it’s ever been on the Toronto Islands? Also yes. Art Department had a quasi-reunion with Toronto at Electric Island, as Jonny White was spinning solo under the moniker for the very first time in the city. The atmosphere changed immediately as soon as the first track roared out, sending the young adult ravers to the back and the seasoned music enthusiasts to the front. Art Department did not play a set that pleased everyone, but rather played a set that pleased the right people. Spinning a selection of dark dubby tracks that have been gathered through White’s underground upbringing behind the decks of Toronto, Art Department flexed a musical knowledge that is possessed by very few others in the industry. It might not have been a very popular set with a majority of the crowd in attendance, but I’ll add my personal opinion and musical bias in here – it was the best of the island. Many people were hoping Green Velvet would play an underground techno set similar to what you hear in his podcasts, especially following Art Department. 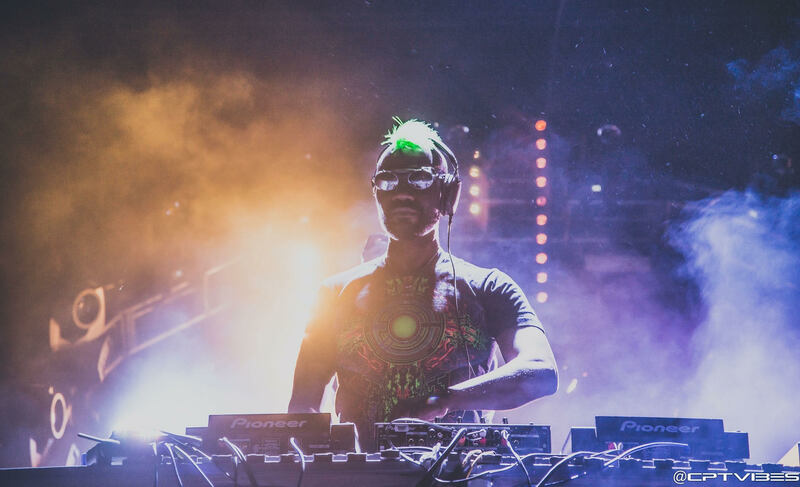 But unlike the prior act, Green Velvet decided to play a set that would hype the island up and send the masses home happy. The tech house legend decided to play a library of his greatest hits for the crowd, bringing in one anthem after another as if taking them on a journey through his lengthy career. Velvet still showed some love for those who had attended his less commercially loaded prior sets though, playing the hugely successful “Woods” by &ME at one point to please all parties. Though his own songs weren’t all played verbatim, his set didn’t really contain anything that you would have to see him live for, as most of the tracks you could probably plug in and listen to on speakers at home. Regardless, everyone has a Green Velvet guilty pleasure. So between La La Land, Percolator, Shake N Pop, and the many others he played that night, who could have resisted screaming out loud to at least one of the superstars catchy choruses. August 14, 2015 in Electronic, festival, Toronto.